NEET DM Haematology has a tremendous and good scope. NEET DM Haematology Examinations are also conducted online as Computer-based Examination now. Though there are many books on Haematology time constraints font allow students/aspirants to have a proper and full revision as per their satisfaction. Nowadays most of the students prefer online preparation and Test Courses for Examinations. The DM aspirants are short of time and are stressed after the hectic schedule and the Books for preparations are multiple and diverse. Recently Questions on Topics like Leukemia, (PRCA) Pure red cell aplasia, Sideroblastic Anemia, G6PD deficiency, Sideroblastic Anemia, Folate deficiency, Cobalamine deficiency have been asked. Questions based on Dohle Bodies, Heinz bodies, Philadelphia Chromosome, TRAP Positiviy, Hairy cells, Echinocytes, Burr cells are also quite frequent. The rising trend of an online tests preparatory organization like Med Exams provides the best, latest, new and updated matter for preparation to its best. The PG aspirant student for DM gets the preparation at the tip of his fingers. Practising a maximum number of Questions which are examination oriented makes one top for the rank. All our efforts are directed to provide the Best possible content and our efforts are concentrated to give you the best possible revision for Haematology preparation. Medexams provides a comprehensive Coverage of Topics like Hodgkin’s lymphoma, Non-Hodgkin’s lymphoma, Multiple myelomas, Waldenstrom’s Macroglobulinemia, Polycythemia vera, Myelofibrosis, Essential Thrombocytosis and Acute myeloid leukaemia which all tend to be frequently asked. 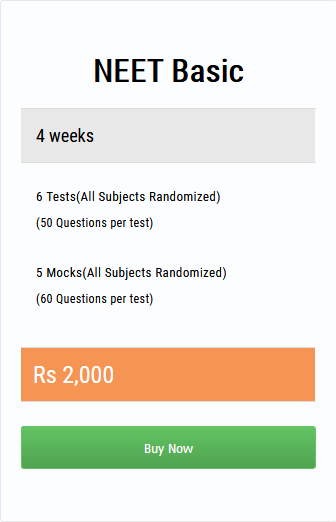 Link for online study material relevant NEET DM. Browse other good resources for NEET DM here.